Fang and Huang examined U.S. equity analysts’ alumni connections with senior officers or board members of up to eight companies, using an approach pioneered by Harvard’s Lauren Cohen, and Christopher Malloy with Andrea Frazzini, of AQR Capital Management. Selection to “All America Research Team” (AA) by Institutional Investor magazine during the same period. This recognition is based on the institutional investors’ subjective evaluation of each analyst’s industry knowledge, communication, responsiveness, written reports, and related skills. Forecast accuracy is one of the least important selection criteria, so skillful analysts may be overlooked as an “All America” member if they are not visible and well-regarded by decision-makers. Connections directly contributed to male analysts’ likelihood of being named to the “All America Research Team” (AA). but not for female analysts. This suggests that investors subjectively value male analysts’ connections but not those of female analysts. This difference leads to significant financial consequences for male and female analysts because those awarded the AA title earn around three times more than those without. About 25% of women and men analysts shared a school tie with a senior officer or board member in the firms they cover, and these connections significantly improved men’s forecast accuracy more than women’s. These connections also improved the impact of male analysts’ stock recommendations, measured by market reaction to their buy and sell calls. Female analysts with a connection to a female executive at firms they covered had a highly significant improvement in accuracy ranking, yet male analysts with male connection experienced almost twice as much accuracy improvement. This significantly different impact of similar connections early in women’s and men’s careers could explain gender gaps that exist throughout long-term career trajectories. 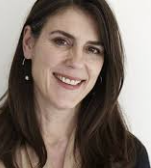 This finding supports Herminia Ibarra’s similar results for men and women in an advertising firm, where men capitalized on network ties to improve their positions with employers. Women capable of executive roles at these Wall Street firms may remain in analytical roles because promotion to General Manager roles depend on subjective evaluations by current decision makers, who are usually men. Fang and Huang concluded that despite mandated protections against gender discrimination in the U.S, men and women may be evaluated using different subjective criteria, even with the benefit of social connections. This leads to differential career advancement for women and men. These career-related social connections, or social capital, are affected by legitimacy, reputation, and network structures, argued University of Chicago’s Ronald Burt. He noted that “holes” in a social network are entrepreneurial opportunities to add value, and women should have equal opportunities to fill network holes and increase their possibility of advancement. However, Burt noted that “entrepreneurial networks linked to early promotion for senior men do not work for women” because women are not accepted as legitimate members of the population of highly promotable candidates. He explained that women and minorities who succeed despite this disadvantage gain access to social capital by leveraging the network of a legitimate strategic partners. This economic analysis may explain the powerful advantage of sponsors for women and minorities in the workplace. -How do you identify and fill “structural holes in social capital networks”? Genes and Neurotransmitters Influence Investment Risk-Taking: Implications for Taking Career Risks? This entry was posted in Career Development, Working Women and tagged All America Research Team (AA), Andrea Frazzini, Bias, career trajectories, Christopher Malloy, Herminia Ibarra, Lauren Cohen, lifetime earnings, Lily Fang, Performance, reputation, Ronald Burt, social capital, social ties, sponsors, Sterling Huang on January 23, 2019 by kathrynwelds.